RUMLAE Director, Prof Dale Stephens recently participated in the 2nd Annual Alexander Cushing International Law Conference, held at the Stockton Center for International Law, US Naval War College in Newport, Rhode Island, USA. 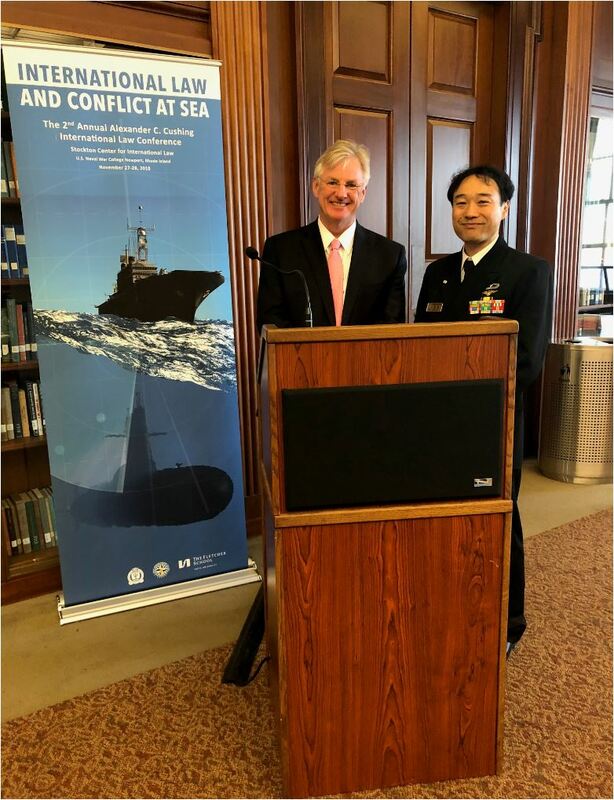 The Conference was jointly sponsored by the US Naval War College, the Japan Maritime Self Defense Force and The Fletcher School of Law and Diplomacy, Tufts University. The theme of the Conference was ‘International Law and Conflict at Sea’ and attracted invited scholars, military members and government officials from across the globe to discuss issues relevant to the contemporary conduct of naval operations in a time of armed conflict. Prof Stephens presented a paper on the reconciliation of legal regimes applicable in a time of naval warfare and outlined a methodology for accommodating the growing array of applicable international legal regimes (including International Human Rights Law, International Environmental, particular weapons treaties etc) to operations at sea during a time of armed conflict. Papers were also presented on geo-political issues of the South China Sea, non-international armed conflict and naval warfare, maritime industry in war and peace, NATO conflict scenarios, Sri Lanka’s experience in conflict at sea re non-state actors and maritime autonomous vehicles. Conference Proceedings will be published in a forthcoming edition of the War College International Law Series. This entry was posted in Impact stories, Industry, International Affairs and tagged RUMLAE. Bookmark the permalink.